COLUMBUS—State Representative Bill Reineke (R-Tiffin) announced the passage of legislation creating OhioCorps, a bill that includes provisions from legislation he joint sponsored with Rep. Scott Ryan (R-Granville Township) that is aimed at helping Ohio’s students, specifically those who are at-risk. House Bill 508, which was originally passed by the House in April, was amended into Senate Bill 299 during the legislative process. This bill also makes critical investments to support and preserve the health of Lake Erie and its tributaries. OhioCorps is a mentoring program that would be initiated at Ohio colleges to help at-risk students, which are primary or secondary school students who are at least 13 years of age and who have an expected family contribution of zero dollars or are impacted by family opioid addiction. An appropriation of $2.5 million was included to fund the program, which will be implemented statewide. “Over the past several months, I have taken time to conduct due diligence in understanding both sides of the wind setback debate and specifically how the 88th House District feels on the topic. From the beginning, it has been my sincere hope that a fair compromise could be reached between those in support of wind energy development and those with concerns. I have taken the time to listen, engage, and evaluate how my constituents view reducing the wind turbine setback requirements. State Rep. Bill Reineke has teamed with another legislator to introduce a bill this week that would address shortcomings in Ohio’s laws governing e-schools, but he has not agreed to return funding he received from an e-school founder. According to a release, the legislation would increase transparency and establish consistent regulations for education providers across the state. In 2016, e-schools served about 180,000 students in the U.S., providing a non-traditional education option for families. The legislation, House Bill 707, would maintain this option, while making sure the schools are regulated properly to provide quality education to students. Gov. John Kasich signed a bill into law today that is to pave the way for the first multi-jurisdictional drug court in the state to operate in Seneca County. According to a release from the office of State Rep. Bill Reineke, R-Tiffin, the PIVOT — Participation in Victory of Transition — drug recovery program is to make Seneca County courts more efficient when addressing low-level drug offenses. The new law established the court, which consolidates drug court proceedings for Tiffin-Fostoria Municipal Court and Seneca County Common Pleas Court. COLUMBUS – State Representative Bill Reineke (R-Tiffin) was joined by a group of local officials and school representatives in Columbus today to urge support of Senate Bill 238, legislation sponsored by Senator Matt Dolan (R-Chagrin Falls). The bill will reform wind turbine setbacks passed in 2014, which decelerated wind energy production in Ohio. Communities such as Seneca County, which Reineke represents, have been negatively impacted by these setbacks. A recently released study from A Renewable America shows that Ohio stands to gain over $4 billion in investment from wind farm construction. This can only happen if Ohio first fixes its restrictive wind turbine setback law, which acts as a functional moratorium on new projects. COLUMBUS—Today, the Ohio House of Representatives passed legislation that makes updates to the practice of physical therapists. House Bill 131, introduced by Rep. Theresa Gavarone (R-Bowling Green) and Rep. Bill Reineke (R-Tiffin), specifies that physical therapists can make diagnoses to treat physical impairments, functional limitations, and physical disabilities of patients, as well as provide a prognosis and plan of therapeutic intervention. Under the legislation, physical therapists will continue to be required to refer patients to a healthcare provider should the patient’s condition be outside of their scope of practice. The bill specifies that a physical therapy diagnosis does not include a medical diagnosis. SANDUSKY — Sandusky County is getting about $1.5 million for projects in the new state capital improvements bill, including money for local universities and for parks development. The projects were announced by state Rep. Bill Reineke, R-Tiffin. They are part of a $2.62 billion capital improvements measure that would take effect in July when the state’s new fiscal year begins. The bill has passed the House and is moving through the Senate. It’s expected to pass by the end of the month. COLUMBUS, Ohio - Leaders of the Ohio House hope to combine the state's school, university and workforce development systems into a single new Department of Learning and Achievement in the name of better aligning efforts to prepare students for jobs and college. 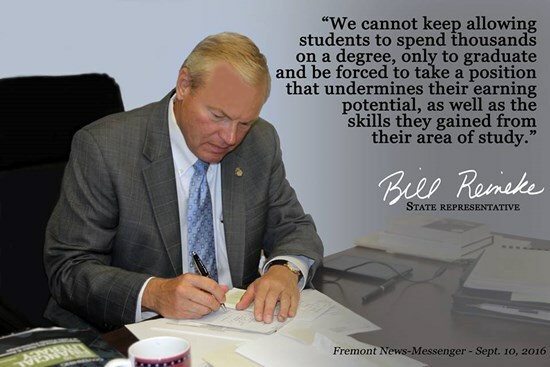 A bill to merge the state departments of Education, Higher Education and Workforce Transformation, was announced this morning, though the text has not been released. It is sponsored by Rep. Bill Reineke, a Tiffin Republican, and has the support of House Speaker Cliff Rosenberger. Several speakers at the announcement said the merger is key to meeting a goal of increasing the number of high school graduates going into two- or four-year colleges, apprenticeships, jobns or the military. According to information from Seneca County Board of Elections, signatures on petitions were checked and all paperwork was approved. The deadline for petitions was 4 p.m. Feb. 7. In the race for the 88th Ohio House District, Republican State Rep. Bill Reineke is to run unopposed in his party’s primary. COLUMBUS—State Representative Bill Reineke (R-Tiffin) today announced that the Ohio House has approved Senate Joint Resolution 5, paving the way for historic, bipartisan redistricting reform to now go before voters on the primary ballot on May 8th. SJR 5 ensures that Ohio’s congressional map-making process features bipartisan support, keeps communities of interest whole and promotes districts that are compact and competitive. 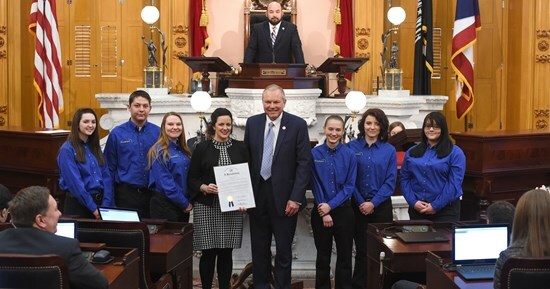 COLUMBUS—State Representative Bill Reineke (R-Tiffin) yesterday presented a resolution honoring Valerie Zeno of Tiffin as the 2017 Ohio ProStart Teacher of Excellence and a 2017 ProStart National Educator of Excellence. The Ohio ProStart Teacher of Excellence Award is given to an Ohio ProStart educator who has distinguished him or herself with outstanding and valuable contributions to the Ohio ProStart student and district community. Columbus - State Representative Bill Reineke (R-Tiffin) today announced that the Ohio House of Representatives has unanimously passed legislation that will enhance efficiency in the way Seneca County courts address low-level drug offenses. 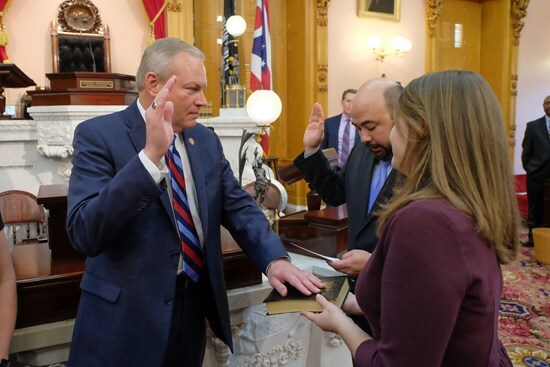 Columbus - During today’s House session, State Representative Bill Reineke (R-Tiffin) was unanimously elected by his colleagues to serve as House Assistant Majority Whip, following the departure of Rep. Robert McColley, who has been appointed to the Ohio Senate. “It’s a pleasure to welcome Rep. Reineke to our leadership team,” Ohio House Speaker Cliff Rosenberger (R-Clarksville) said. “During his time in the House, Bill has been a steadfast champion for small businesses and working families throughout his district and across the state. His level-headed demeanor and commitment to looking at policy both critically and thoroughly will be a tremendous fit for our leadership team in the House. House Republicans immediately replaced Mr. McColley as the chamber’s assistant majority whip with another northwest Ohio lawmaker, state Rep. Bill Reineke (R., Tiffin). 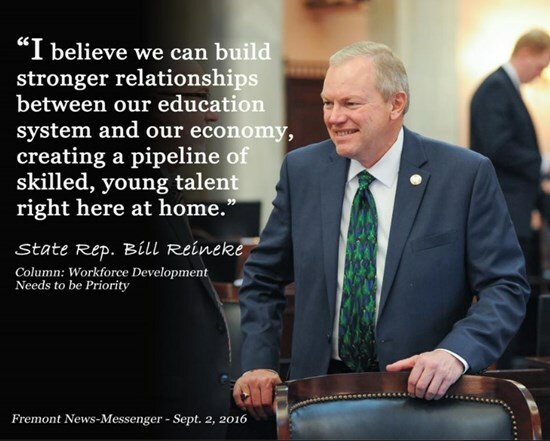 State Representative Bill Reineke (R-Tiffin) announced passage of legislation establishing a minimum access standard for skilled trade, military and higher education recruiters on high school campuses. 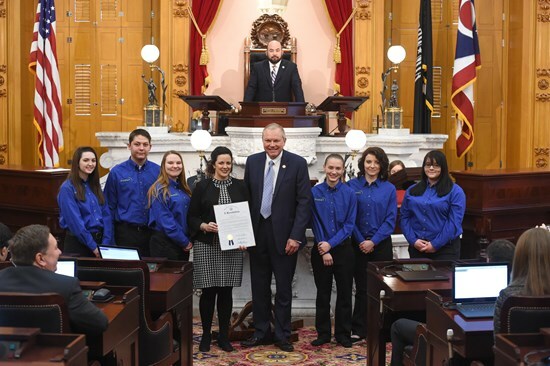 House Bill 98, sponsored by State Representatives Mike Duffey (R-Worthington) and Kristen Boggs (D-Columbus), is intended to give high school students the opportunity to thoroughly research all options that they are able to pursue following graduation. The bill sponsors began working on this legislation after learning about military and skilled trade recruiters who were not allowed to set up informational tables on certain high school campuses, while higher education institutions were granted the privilege of communicating with students. 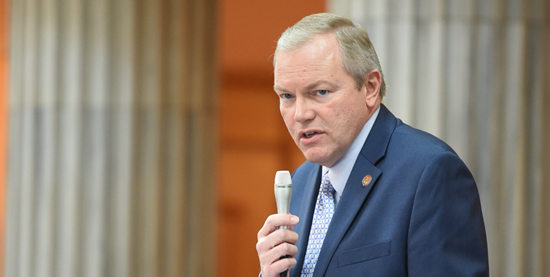 COLUMBUS - State Representative Bill Reineke (R-Tiffin) today applauded the Ohio House’s passage of two bills that work in conjunction to establish more transparent guidelines regarding certain benefit assistance programs. House Bills 50 and 119 make reforms and updates to the Supplemental Nutrition Assistance Program (SNAP) and Medicaid assistance in an effort to eliminate fraud and ineligibility. By improving eligibility cross-checks and reporting, Ohioans in the greatest need of assistance will be better served. Senate Bill 3, sponsored by Senators Bill Beagle (R-Tipp City) and Troy Balderson (R-Zanesville), was initially the result of a study completed by the Governor’s Executive Workforce Board, of which Rep. Reineke is a member. The board discussed how to better connect businesses with individuals, align training with business requirements and identify the needs of businesses. Senate Bill 3 included various components of the group’s recommendations, however, during the budget process, through the leadership of Rep. Reineke, these various provisions were instead placed into the main operating budget passed in June. COLUMBUS—State Representative Bill Reineke (R-Tiffin) recently toured Wright Patterson Air Force Base (WPAFB) to encourage more cyber security workforce development, in coordination with the 88th district’s higher education institutions, to promote education in STEM-related fields. 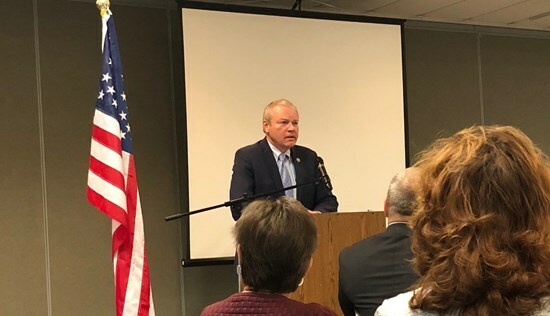 COLUMBUS—State Representative Bill Reineke (R-Tiffin) today applauded funding recently approved through the passage of the state operating budget for the Maritime Risk Symposium to be hosted at Tiffin University. The 8th Annual Maritime Risk Symposium will highlight the importance of maritime security and the maritime transportation system. Modern day threats and challenges in the maritime industry underscore the importance of this symposium, which will bring together experts on all levels of government to discuss sound maritime cyber strategy through various panels focused on topics such as education, research, and legal issues. TIFFIN — Tiffin has received a $220,000 grant through the state Department of Transportation Jobs and Commerce for an improvement project on U.S. 224. The funds represent about 25 percent of a $1 million project. 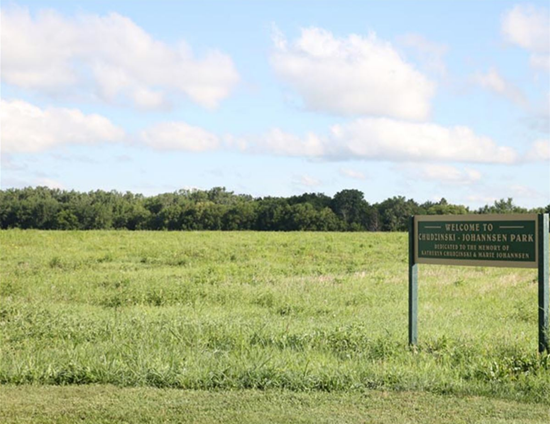 The road improvement will provide access to a 60-acre site on the west side of the city for potential commercial development. COLUMBUS - State Representative Bill Reineke (R-Tiffin) announced that last week the Ohio House of Representatives approved the conference committee report on Amended Substitute House Bill 49, the state operating budget. 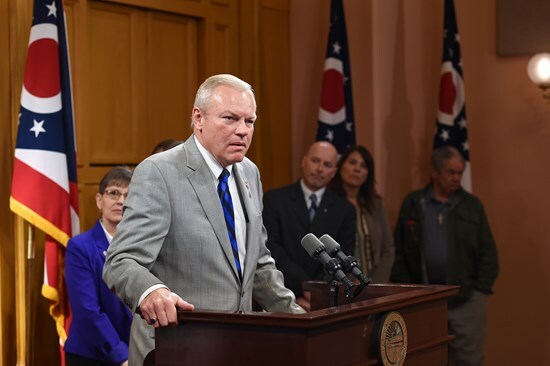 With a major focus on combating Ohio’s dangerous drug epidemic and ensuring that schools receive vital funding, the legislation provides support to areas most in need and keeps spending under the rate of inflation over the biennium. COLUMBUS - State Rep. Bill Reineke, R-Tiffin, accounced this week that the Ohio House has passed legislation that would add computer science as an option in the state curriculum for high school. 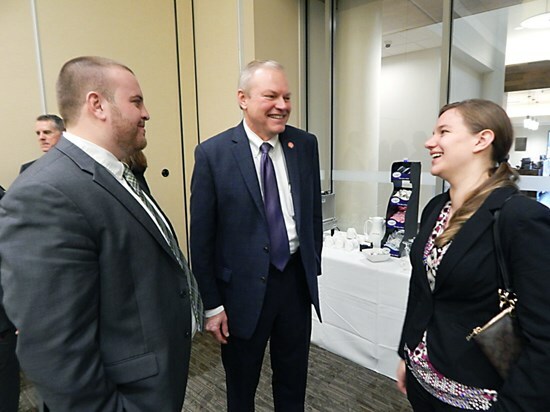 Columbus - State Representative Bill Reineke (R-Tiffin) today congratulated the Ohio Department of Education and the Office of Workforce Transformation on their announcement as a recipient of the New Skills for Youth Grant. Awarded by the Council of Chief State School Officers (CCSSO) and JPMorgan & Chase Co., the $2 million grant will strengthen Ohio’s efforts to expand career pathways for students. Many of us are now happy to put this election cycle in the rearview mirror. After a fever pitch of emotions, we can now settle into the reality of the next four years. Many of us still have unanswered questions about our government. But we can all be thankful to return to a sense of normal. It has been an honor to serve as State Representative for the 88th district, and I am humbled to be given a second term. My focus will continue to be on jobs, leadership and solutions, working to expand workforce development, lower taxes and improve overall community development. My goal as a member of the 132nd General Assembly is to help create a better environment for Ohioans to live, work and play. Thank you for your support. When we think about successfully educating a student, our society has a certain set of expectations for what that looks like. Traditionally, we aspire to see our children earn a high school diploma so they can continue their education at the college or university level. This process works for many students. However, we cannot settle for a one-size-fits-all approach to education when there are many more options available in today’s system. 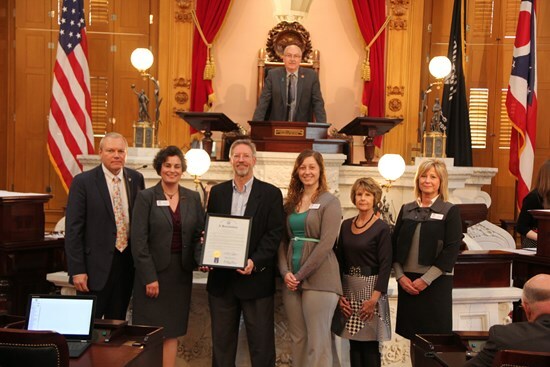 State Representative Bill Reineke (R-Tiffin) honored the Rutherford B. Hayes Presidential Library and Museums for its one hundredth anniversary with a resolution during Wednesday’s Ohio House session. "The Rutherford B. Hayes Presidential Library and Museum set the standard for today's modern presidential library system one hundred years ago," Rep. Reineke said. "President Hayes' legacy is a tribute to power of democracy in our country. His historic house at Spiegel Grove and the museum center are the crown jewel of Fremont. Honoring the Hayes Center on its centennial anniversary is a testament to the role it plays in our community, and I am proud to recognize them with this resolution." Speaker of the Ohio House Clifford A. Rosenberger (R-Clarksville) has appointed State Representative Bill Reineke (R-Tiffin) to serve as Vice Chair of the Ohio House Financial Institutions, Housing and Urban Development Committee, or FIHUD, which will become effective May 1st. 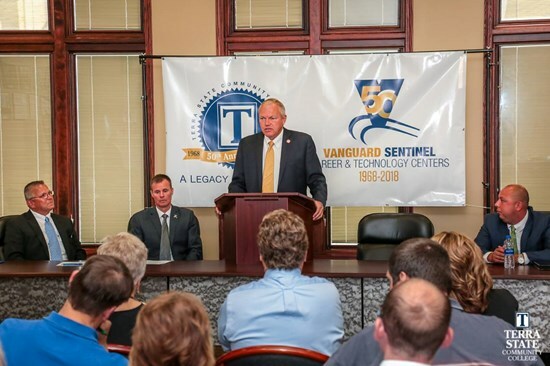 State Representative Bill Reineke (R-Tiffin) announced today that Site Selection Magazine has recognized both Fremont in Sandusky County and Tiffin in Seneca County as top micropolitan areas in the country. In a ranking of the top micropolitan areas nationally, both communities came in a tie for 39th according to the national economic development publication. COLUMBUS—State Representative Bill Reineke (R-Tiffin) today visited second grade students at Krout Elementary School, which is part of Tiffin City Schools. Rep. Reineke represents Sandusky County and potions of Seneca County. COLUMBUS—State Representative Bill Reineke (R-Tiffin) today announced that he will be holding office hours in the 88th Ohio House District this Thursday, December 17th. No appointment is necessary and all are encouraged to participate. COLUMBUS - State Representative Bill Reineke (R-Tiffin) today applauded Heritage Ohio, Inc. for selecting Tiffin to be the newest member of the Ohio Main Street Program. Tiffin will now join 23 other communities throughout the state in the Main Street Program, which offers training and support for downtown revitalization efforts. 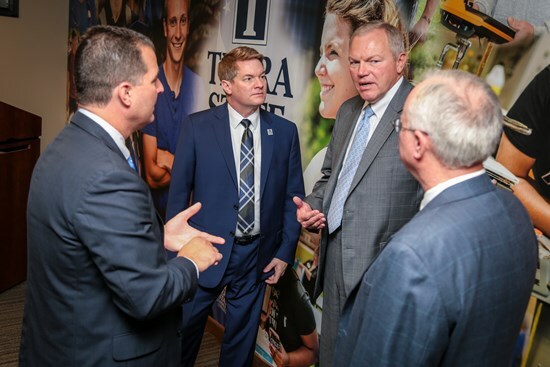 COLUMBUS - State Representative Bill Reineke (R-Tiffin) has announced that the Ohio Tax Credit Authority (TCA) has approved a project that is expected to create 138 new full-time jobs at Tower Automotive Operations in Bellevue. COLUMBUS - State Representative Bill Reineke (R-Tiffin) today voted in favor of Amended Substitute House Bill 64, the state operating budget. The legislation lowers the income tax, ensures funding for Ohio schools, freezes tuition costs on colleges, provides local governments funding to train police officers and encourages growth for small businesses. Join us for a day of golf at Mohawk Country Club, a Donald Ross design. This event will feature food samplings from around the 88th District, prizes and the opportunity to meet with other legislators from around the state. 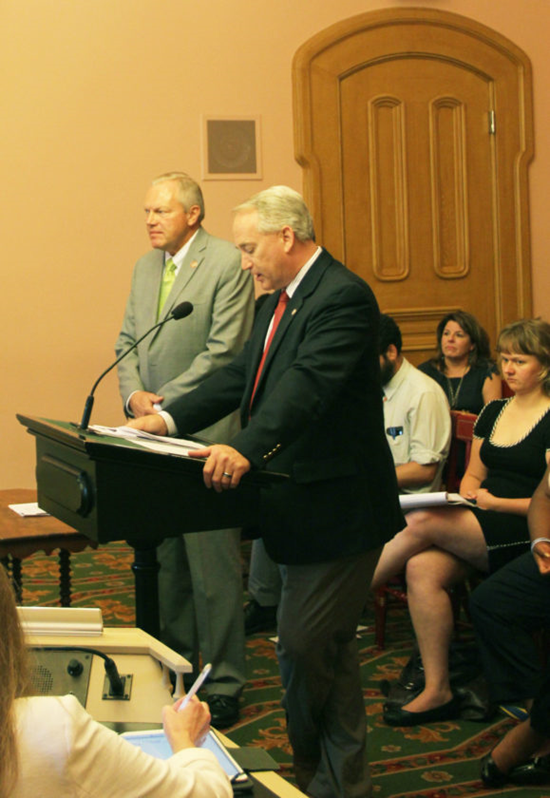 COLUMBUS - State Representative Bill Reineke (R-Tiffin) applauded today’s House passage of legislation that allows the family members or guardians of Ohioans with disabilities to create their own tax-advantaged accounts. 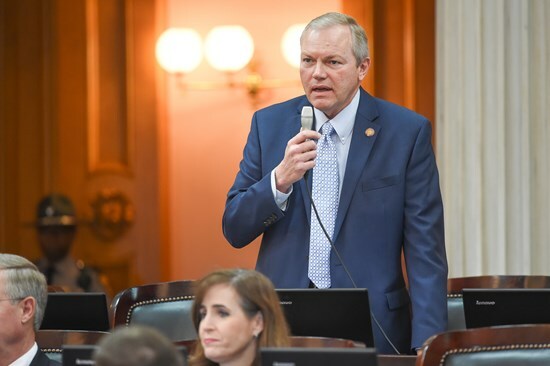 COLUMBUS - State Representative Bill Reineke (R-Tiffin) applauded House Bill 74, which passed in the Ohio House of Representatives yesterday with broad bipartisan support. HB 74, sponsored by State Representative Andrew O. Brenner (R-Powell), would revise the state assessments and examinations given to Ohio’s students. COLUMBUS - State Representative Bill Reineke (R-Tiffin) today voted for legislation aimed at increasing efficiency and saving taxpayer dollars in local governments and state agencies. COLUMBUS - State Representative Bill Reineke (R-Tiffin) today applauded the House passage of Amended Substitute House Bill 64, the biennial state budget bill that allocates funding to schools, community projects and government initiatives, as well as providing significant tax relief to all Ohioans and small businesses in the state. COLUMBUS - State Representative Bill Reineke (R-Tiffin) has announced that the Ohio Tax Credit Authority (TCA) has approved a project that is expected to create 18 new full-time jobs at Tiffin Metal Products Company. Ohio’s continuing economic improvement has revealed a very apparent and disturbing flaw in our state’s workforce—the increasing gap in available jobs and the skilled workers companies need to fill those jobs. The overall positive trends we have seen in Ohio are good news for families and job seekers. The state saw 112,000 jobs created in 2014, with an overall unemployment rate just over 5 percent to begin the new year. The manufacturing industry alone saw over 16,000 new jobs across the state. Still, more work needs to be done to help propel us back to the level of economic success we saw before the recession. Ohio currently sits at a crucial economic crossroads. With the recession mostly behind us, many people are feeling the effects of recovery. The unemployment rate in Ohio, which sits at 4.8%, is down from 6.7% at the same time last year and is also lower than the national unemployment rate of 5.6%. Still, many families have yet to see these positive effects. 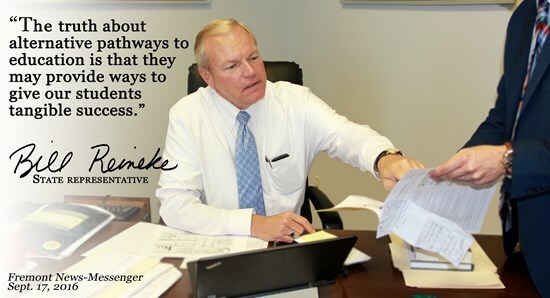 We are writing this letter to express our support for Bill Reineke for state representative of the 88th Ohio House District. We think it is important to show unity behind a candidate who we believe represents the values of the farming community in Seneca and Sandusky counties. The National Federation of Independent Business Ohio (NFIB Ohio) announced their endorsement of Bill Reineke, Republican candidate for State Representative in the 88th District this week. Candidate for 88th District Ohio House of Representatives Bill Reineke congratulates Webster Manufacturing on the announced expansion of their Tiffin factory. The new investment is projected to create 65 new jobs for the area. Tiffin businessman Bill Reineke won the Republican nomination for the 88th District House of Representatives race in the primary election Tuesday. According to unofficial results from Seneca and Sandusky counties, Reineke received 2,247 votes, while Rhonda Damschroder received 1,657 votes and Richard A. Geyer received 717 votes. Republican write-in candidate Bill Reineke reported this week that his campaign successfully raised over $59,000. Voters in Sandusky and Seneca counties will decide an election that is unusual if not unique in Ohio history: A Statehouse race with no names on the ballot. 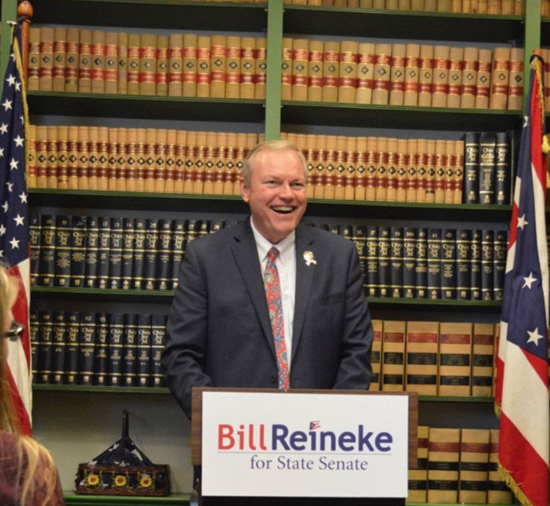 Bill Reineke will submit the necessary paperwork to declare his intent to run as a Republican write-in candidate for the position of Ohio State Representative for the 88th district.